1 : 57000000 Sharpe, J. 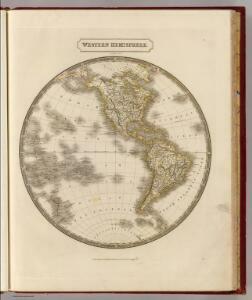 1 : 100000000 Mitchell, Samuel Augustus Jr.
1 : 60000000 Letts, Son & Co.
1 : 60000000 Snyder, Van Vechten & Co.
A Comparative View Of The Principal Waterfalls, Islands, Lakes, Rivers and Mountains, In The Western Hemisphere. A Comparative View Of The Principal Waterfalls, Islands, Lakes, Rivers and Mountains, In The Eastern Hemisphere. 1 : 92000000 Tallis, J. & F.
1 : 75000000 Goodrich, S.G.
1 : 144000000 Goodrich, S.G.
1 : 220000000 Goodrich, S.G.
Orbis veteribus noti tabula nova.